Mel Johnson is a qualified life coach and founder of The Stork and I. 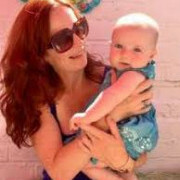 Following her own journey into solo motherhood using IVF and donor sperm at Manchester Fertility Clinic, Mel supports single women considering embarking on the same journey. She offers one to one coaching, writes a blog, runs live sessions on The Stork and I Mum Tribe Group and has recently launched the first episode of Preparing to Thrive, a solo mum podcast. Mel is passionate about sharing her story and using coaching in order to support women on their path to solo motherhood.